We are very excited to present to you our most recent findings about how the human collective consciousness has been faring. We are noticing that there is a greater degree of compassion for one another being felt and being exhibited through words and actions. We even see you thinking more in harmony with the greatest and highest good of the entire collective. Now, some of you are probably wondering how you could possibly care more about your fellow humans. We know that you do, and we also know that there are certain perpetrators out there who are very hard to love, very hard to feel compassion for. 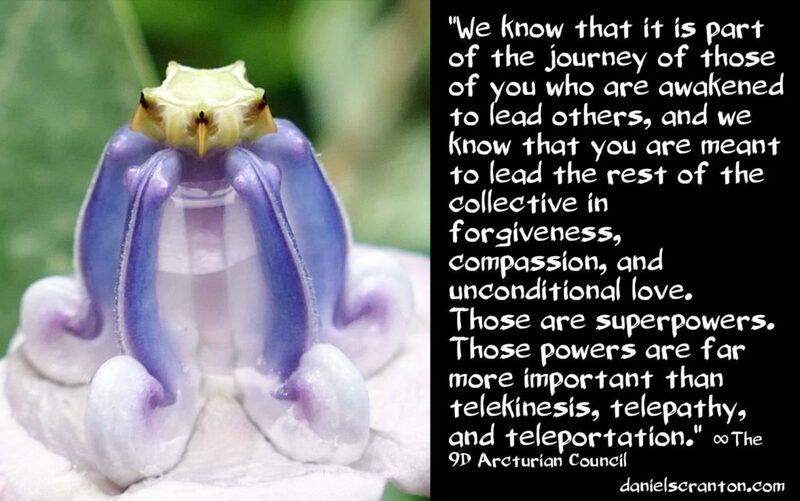 We know that it is part of the journey of those of you who are awakened to lead others, and we know that you are meant to lead the rest of the collective in forgiveness, compassion, and unconditional love. Those are superpowers. Those powers are far more important than telekinesis, telepathy, and teleportation, and they are certainly a better choice than time travel. Nothing needs to be fixed in your history to take you to where you are ultimately going. You are going to ascend, and you are going to do it more peacefully and joyously as you embrace every member of the collective, no matter what they are doing, no matter how bad they have been. You are here to serve all humans, and you do so mostly with your presence, but you are being even more of service when you are offering your compassion, your forgiveness, and your unconditional love to those who have done absolutely nothing to earn . These are the people who are most in need of it. You already have a tremendous amount of compassion for the victims, whether they be human, animal, or plant, but it is your ability to feel that compassion for the ones on your planet who make things harder for everyone else that will put humanity past the tipping point. And it is your greatest gift to your fellow humans. It is a wonderful time for all of you to practice using this gift, because you will see more and more stories coming out about what this one did and the abuse of power that someone else exhibited. So this recent uptick that we have sensed in the human collective consciousness has come just in time, as it always does. This entry was posted in * AGE - OF - AQUARIUS, * EARTH - NOW EDUCATION, ACTS of KINDNESS, ANGELIC HUMAN RACE, EARTH - HUMAN HISTORY, HEAVEN'S BIRTH CANAL. Bookmark the permalink.